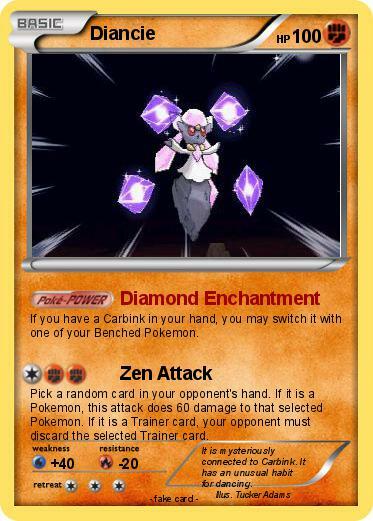 If you have a Carbink in your hand, you may switch it with one of your Benched Pokemon. Pick a random card in your opponent's hand. If it is a Pokemon, this attack does 60 damage to that selected Pokemon. If it is a Trainer card, your opponent must discard the selected Trainer card. Comments : It is mysteriously connected to Carbink. It has an unusual habit for dancing.